"Decide, before it's too late," the 67-year-old admirer posted on Facebook. 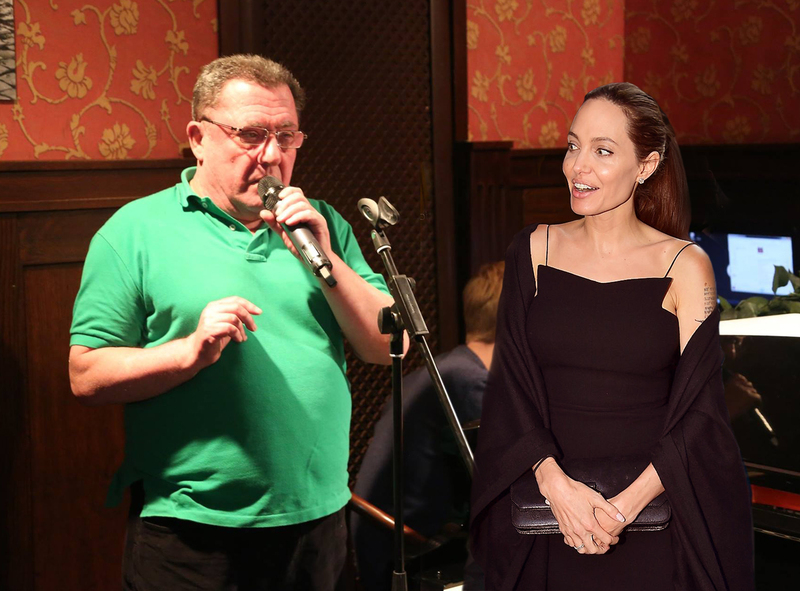 Russian writer Valerii Zelenogorski proposed marriage to the American actress Angelina Jolie in a Facebook post, just days after it was announced that she had filed for divorce from Brad Pitt. The pensioner begged the 41-year-old actress to “tell that Brad Pitt to go to hell” and come live with him in Kolomna (70 miles southeast of Moscow), where they will live “like kings,” the news website Lenta.ru reported. “The children can play in the garden, you can sit at home like a lady, and at last you will live respectably,” wrote Zelenogorski. Zelenogorski pointed out that Gerard Depardieu is already a Russian citizen, and he praised the potential benefits of life in Russia for an American: “You can get a passport, you will be named a ‘distinguished artist’ [an honorable title awarded by the president – RBTH], and you can perform with our national actors.” The prospective suitor suggested they could have more babies together, which would bring the added bonus of the government providing them a "hectare of land” for being a large family with many children. And finally, to sweeten the proposal, he promised to buy the actress a fur coat for the winter.